Bringing the famous Warli art into lifestyle products. 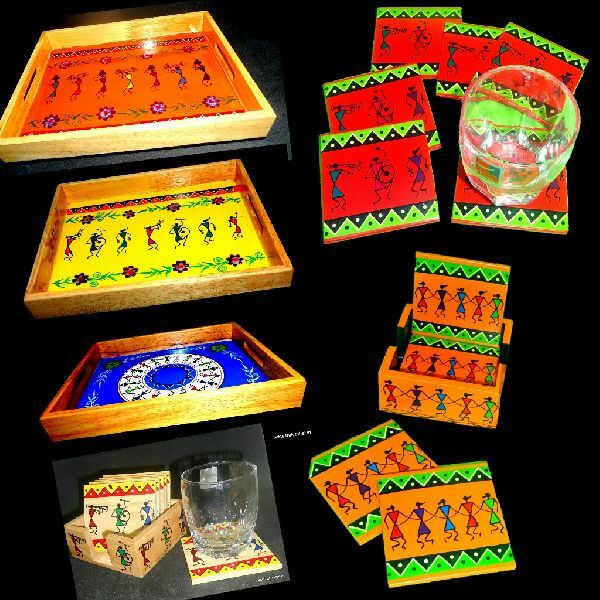 A complete range of coffee table collection from trays , coasters, Tissue paper box, plates, bowls , including the hand-painted Warli runners.. These are made in rubberwood / Neem wood and MDF and costing varies as per that. These also makes up for the suitable corporate gifting collections.